Considering a new weight loss journey that you can really stick to? 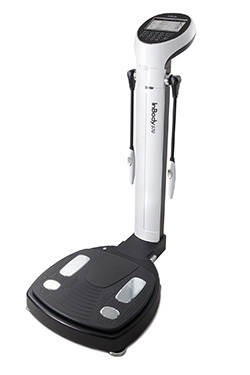 The InBody tool available at the Healthy Weight Center in Traverse City is a great way to help you get started. When you consider all of the elements that make up your total body weight, it becomes clear just how little the number on your bathroom scale really shows about your health and body composition. To understand the whole story, you really need a breakdown of your body weight, such as how much of your body is muscle or even just water. Without these numbers, setting goals and measuring real progress can be difficult. For example, how do you know what to improve if you don’t know how much lean muscle mass you have and the specific areas where it might need improving, such as your legs? Or, perhaps the scale isn’t budging because you’ve gained muscle or temporary water weight, but all you see is a number that doesn’t seem to be moving down. Many people feel disappointed or give up right at the point when great things are beginning to happen – all because of a number on a scale. The InBody body analyzer is different. Together, these numbers help form a solid snapshot of your body and health. Knowing these numbers can help you make healthy decisions such as how many calories you need for maintaining or losing weight, where your muscle strength may be off balance and in need of improvement, and whether the location of your body fat puts you at risk for developing diseases like diabetes or stroke. InBody works very similar to a traditional scale and it’s nearly just as fast. You’ll step onto a square platform – roughly the size of a bathroom scale – and hold onto the attached handlebars. In a matter of seconds, the InBody will gently scan your body. An experienced staff member will then print your results and review them with you. These results will help guide your weight loss and/or fitness goals. In 3-6 months, you can return for a new scan to see how much you’ve improved and to establish a new set of goals. Schedule your InBody scan by calling the Healthy Weight Center at 231-935-8606. The InBody scan is $40 or you can choose from among five different health and weight loss programs that include consultations with a registered dietitian and exercise specialist.